Hello, I'm wondering why there are two different CPU sensors and which means what. The CPU Digital Thermal Sensor measures temperature of each CPU core directly - it has an on-chip embedded diode per core. 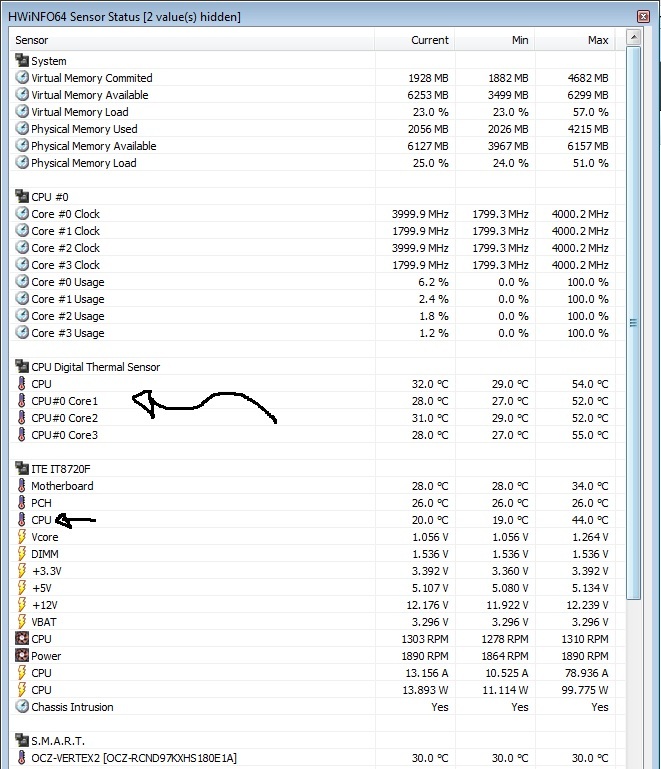 Other CPU temperatures reported usually via discrete sensor chips (like ITE or Winbond, etc.) measure CPU temperature from a diode that's not directly attached to CPU, but underneath or close to it. 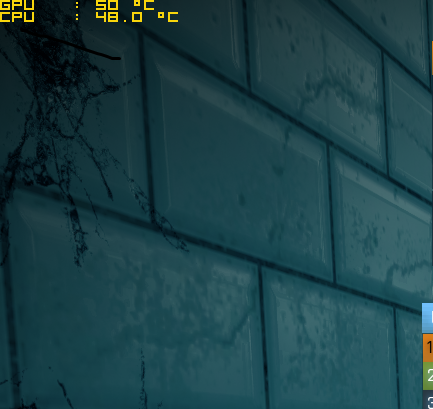 By the way, I use MSI Afterburner with HWINFO64 to display my CPU/GPU temps. I was wondering if it was possible to display the Average of core1+core2+core3+core4 or Highest core temp instead of displaying a random core, like I'm doing right now. And if not, possible for this to get added in the future? Highest temperatures are reported in the Max column. I don't see any use of an average temperature reporting. I'm talking about Current max/average temp running through OSD. GPU is reported from Afterburner and CPU is reported from current CPU core 0, but what I would like is current highest CPU core to be displayed. RealTemp 3.70 has that feature but it doesn't have the ability to display things in game like AB/HWINFO64. Current time: 04-24-2019, 05:37 AM Powered By MyBB, © 2002-2019 MyBB Group.